If you are the rightful beneficiary of a loved one’s trust and the trustee is distributing the trust assets to the wrong beneficiary, you are rightfully concerned. Unfortunately, these errors do sometimes occur when a trust is being administered. 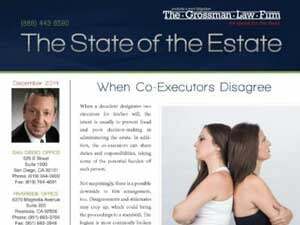 Beneficiaries not receiving their proper inheritance may have grounds to pursue a lawsuit against a San Diego trustee. This can be true even if it was an error. Trustees have a duty to treat all beneficiaries fairly and to use reasonable efforts to carry out the terms of the trust as they are outlined in the trust instrument. Failing to do so can result in a lawsuit against a San Diego trustee. First of all, if a payment was made to beneficiaries who are not named as beneficiaries in the trust. Additionally, if an excessive payment was made to a different beneficiary under the trust. And as a result, reducing the size of your inheritance. Finally, if a payment was not made to the proper contingent beneficiaries in a situation where one primary beneficiary pre-deceased the creator of the trust. In conclusion, if distributions are made to the wrong beneficiaries, it is vital that you act quickly in order to protect your inheritance. 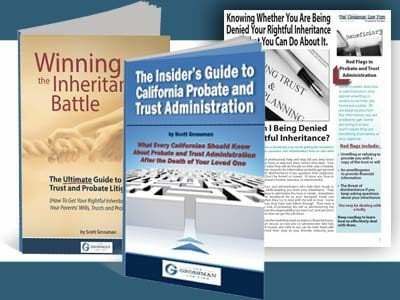 For more information about trust and estate litigation matters, view our free guide, Winning the Inheritance Battle. Pursuing legal action against a trustee requires the guidance of a knowledgeable professional. 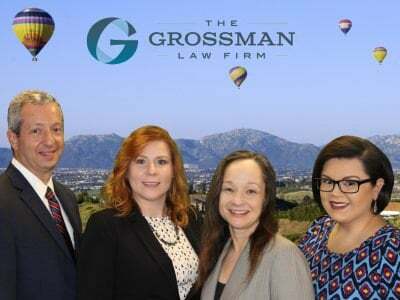 Contact an experienced San Diego trust litigation lawyer today for a consultation by calling our toll-free number, (888) 443-6590. It would be our pleasure to further assist you.